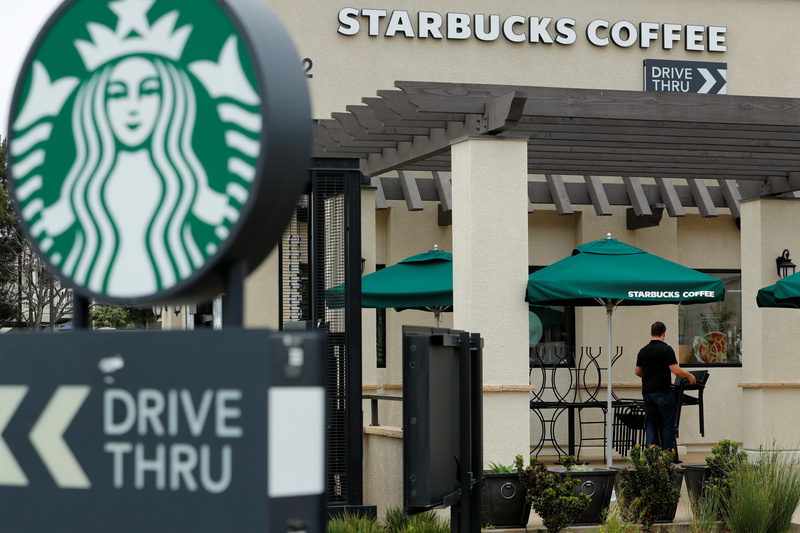 A worker puts away patio furniture at a Starbucks Corp drive-through location closes down this afternoon for anti-bias training as the coffee chain closed all 8,000 of their company-owned cafes in the U.S. including this location in Oceanside, California, U,S. May 29, 2018. Starbucks on Nov. 1 reported sales of $6.3 billion for the quarter ended Sept. 30. Same-store sales increased 3 percent year on year, driven by a 4 percent increase in the Americas. Analysts were expecting same store sales to increase 2.8 percent in the Americas, according to I/B/E/S data from Refinitiv. Same-store sales in China and Asia Pacific increased 1 percent. Operating profit fell 6 percent to $957 million year-on-year. Starbucks’ operating margin dropped 15.2 percent from 17.9 percent a year ago. The company expects same-store sales to grow at the lower end of its previously guided range of 3 to 5 percent in fiscal 2019.